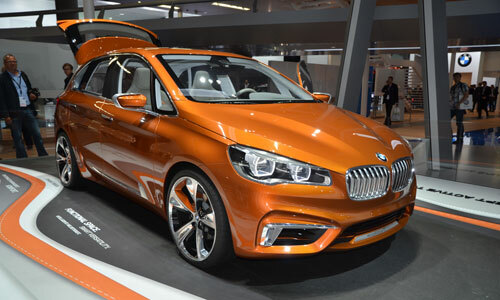 The success of the Mercedes B Class, which is running neck and neck with our Scénic for the top spot in sales, has prompted BMW to move up the preview of its Active Tourer, slated for 2014. 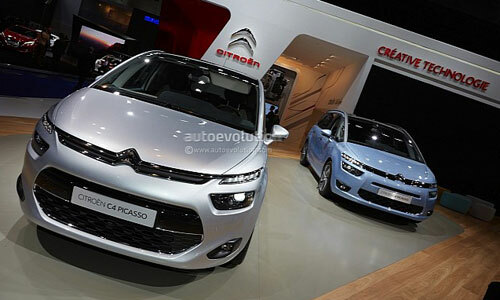 At PSA, the seven-seater C4 Grand Picasso would appear to be the logical future replacement of the C8 – a compact that will thus no longer be all that compact. 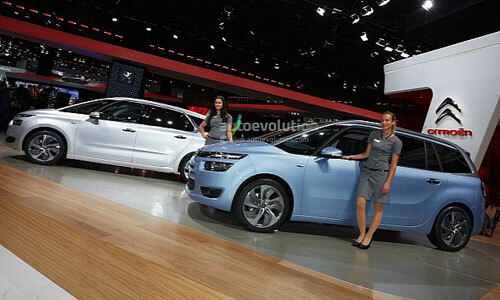 It has a bit of the look of the "Tubik" concept car unveiled at Frankfurt two years ago. At 2.84 m, the wheelbase of the seven-seater, based on the new Efficient Modular Platform 2 (EMP2), is 55 mm longer than that of the five-seater and 110 mm more than its predecessor. That makes it the longest in its category, even exceeding the venerable C8 in the segment above. The length of the seven-seater is unchanged at 4.59 m (160 mm longer than the short version), but 5 cm has been pared from the height (1.61 m vs.1.66), improving consumption. 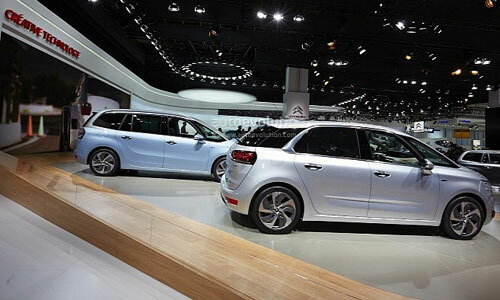 Worth noting is that from the front end to the B-pillar, the Grand Picasso looks identical to the five-seater. But on closer inspection you realize without really understanding that all the parts (hood, fenders, front panel, fixed window and front door) are different! 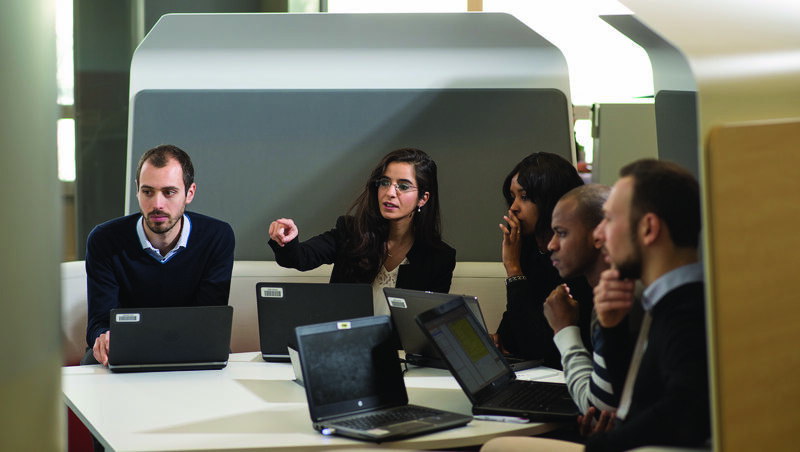 We will let you play the game of “spot the seven differences”. Six years after the return of the 500, Fiat keeps betting on its strong-selling “topolino” by turning each new model into a “500”. 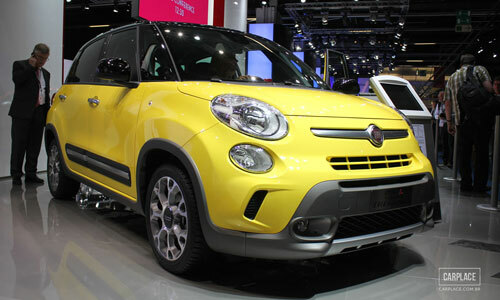 So now we have the 500L Living, which at 20 cm longer moves up to the C segment. At 4.35 m (the same as the short Scénic), the "5+2" option transforms it into the most compact seven-seat minivan in the European market. At Ford, S-Max, the top-selling large van (for six years in a row!) is getting an upgrade. 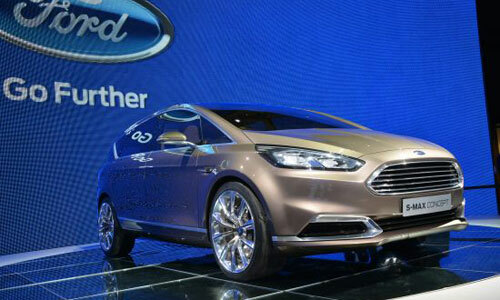 The new, concept-car version retains the van’s low-slung sporty lines. Note the immense panoramic windshield. 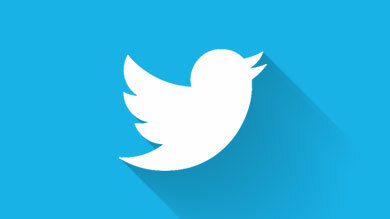 Launch is set for 2014. 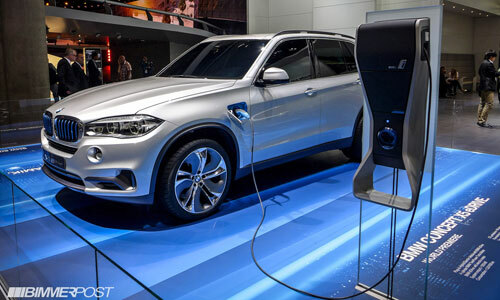 BMW unveiled a concept car, the P-HEV X5 eDrive, equipped with a four-cylinder gasoline engine and a 70-kW electric motor, providing 30 km of zero-emission driving. 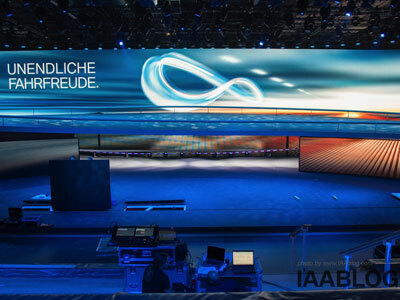 But above all, we will note the eagerly awaited arrival on the German carmaker’s stand of the production version of the i3, which will directly compete with our favorite, Renault ZOE. It is the first BMW in the B segment (aside from the MINI), with a separate aluminum chassis, which carries the suspension, motor and battery (the “Drive” module), and a superstructure in carbon-fiber reinforced plastic (the “Life” module). 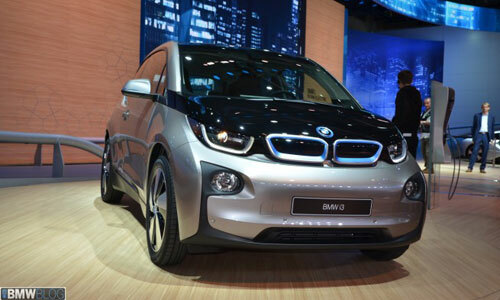 Shorter than ZOE by 100 mm (4.00 m vs. 4.10) but with the same height (1.58 m), the i3 contrasts with the sometimes austere BMW design, with features like a short hood, a windshield placed farther forward, and rearward-opening rear doors with no B-pillar. The BMW claims a range of 190 km NEDC, but what they talk about is customer usage: 130–160 km for normal driving, or the same as ZOE. With one difference, but a sizable one all the same (for €4,500! 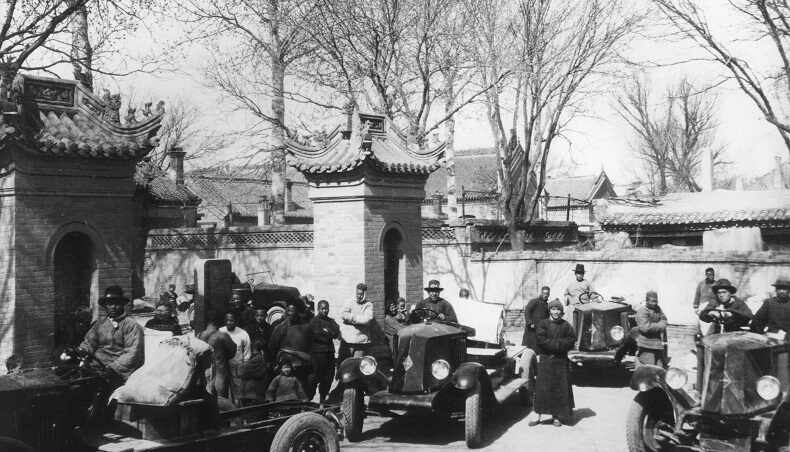 ): an optional range extender, a rear-mounted two-cylinder motorcycle-type engine (650 cm3, 34 hp). The 9-liter tank maintains the minimum charge for an additional 100 km, bringing the total up to 300 km. However, this option adds 120 kg to the car’s weight. On paper, this little city EV has a lot to like. The hard reality, however, is less enticing. You have to be ready to lay out at least €35,000, battery included, without an incentive. That is double ZOE’s price (without battery) and 50% more than the e-Up! Pick the fancier version with the range extender and a few options and the price easily climbs to €50k. 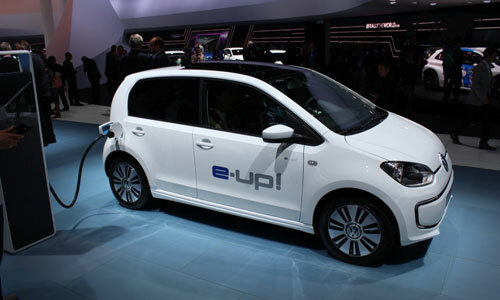 Another ZOE competitor is the Volkswagen e-Up!, the electric version of VW’s city car. It offers a bigger trunk and more cabin space by placing the batteries under the floor (like ZOE), with no impact on the height. The e-Up! also has energy recovery braking adjustable to four levels, a 60-kW (82-hp) motor, compared with 70 kW for ZOE, and an NEDC range of 160 km. The advertised price is €27k, batteries included, without incentive – three times the base price of an Up! with an internal combustion engine, or €7,000 more than ZOE without the battery. In short, what we see in the electric vehicle market is that ZOE remains the best buy in a city car when it comes to price, while having a range identical to, if not better than, its rivals. Our competitors are getting into the EV race, and that’s fine with us. Hurrah for Z.E.! 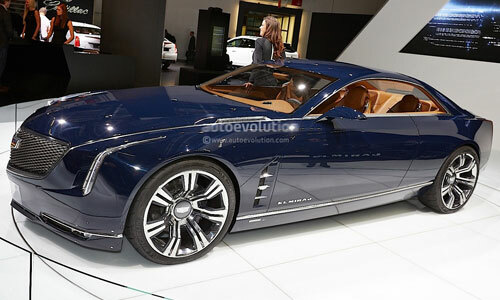 Cadillac Elmiraj. Here’s an ultra-high-end coupé concept car powered by a big 4.5-liter, 500-hp V8 engine with twin turbochargers. There are plans to extend the range with a downsized 2.0-liter version (Elmiraj 2000) and a sport version (Elmiraj F1). Citroën Cactus. From our compatriots over at Citroën, we have the Cactus concept car, pointing to the arrival of a B-segment crossover, a simpler, fun-oriented version of what Citroën did in 2008. 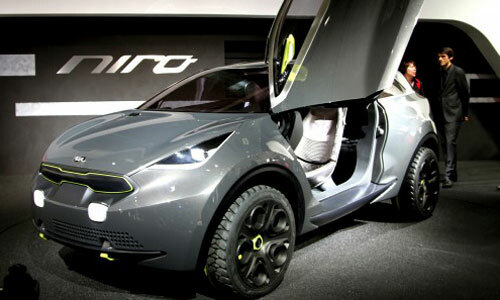 Kia Niro. After the Provo concept, a B-segment coupé unveiled at Geneva, here’s another tantalizing idea from Kia, a bold, well-designed competitor to the Juke, with an exotic-sounding name. Nissan Friend-Me. Our friends in the Alliance have come up with the Friend-Me concept. 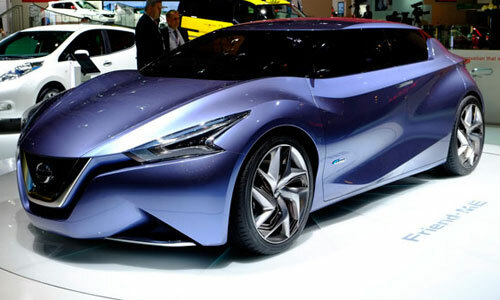 Unveiled at the Shanghai Motor Show, it was created by the Nissan China Design Center for the local market and its gilded youth in particular. Besides its stunning look, the concept car has a PureDrive hybrid powerplant. In short, it has everything going for it! We won’t go into detail, but these other new arrivals are also worth a mention: the Peugeot 308, Mercedes-Benz S Class Coupé Concept, Honda Civic Tourer, Hyundai i10 and Mazda3.